This summer we had several distinguished guests visit Nerdwood. 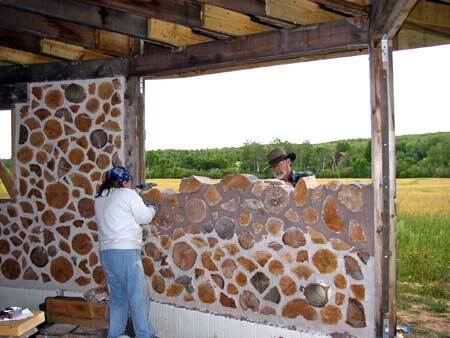 Richard and Becky Flatau built a lovely cordwood house in northern Wisconsin in 1979 and have lived there since. 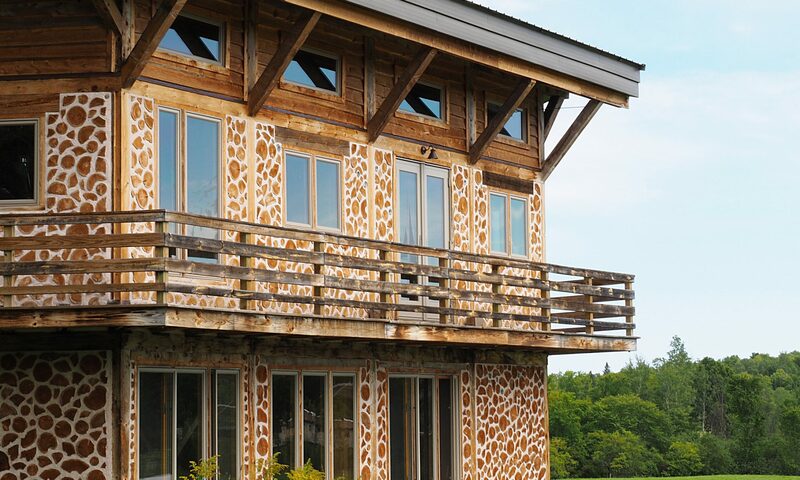 They’ve done a great deal to promote this style of building, including publishing how-to books, conducting workshops and hosting the 2005 Continental Cordwood Conference (CoCoCo). Clare and I met them at a cordwood workshop held immediately after the CoCoCo – one week after we closed the sale on the property where Nerdwood now sits. They hosted a party for workshop attendees at their (very cool) house, which was most inspiring for us would-be cordwood masons, and they proved to be gracious and entertaining hosts. Richard had emailed me saying that he and Becky were conducting a workshop this August. The folks building this particular house were using lime putty mortar (LPM), same as us, and the Flataus, who have mostly used traditional portland cement-based mortar mixes, were trying to get as much hands-on experience with LPM as they could. They asked if they could stop by for a weekend and build walls with us. Naturally, we were delighted – not only would we be enjoying their company, we’d be getting help building the house and expert advice from true cordwood veterans. 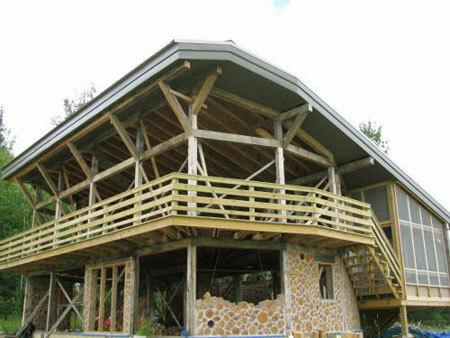 The Flataus would be staying at the house of another cordwood legend, Wayne Higgins. 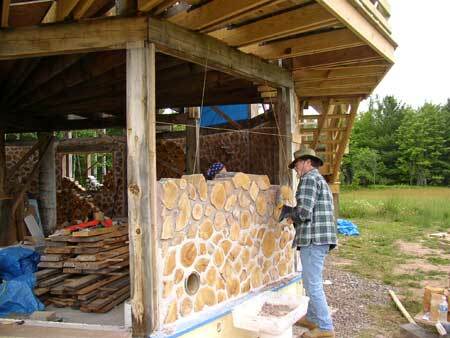 Wayne finished his cordwood house, Stonewood, in 1991 (although he’ll tell you he isn’t quite finished yet!) and it’s one of the first cordwood houses we ever saw. 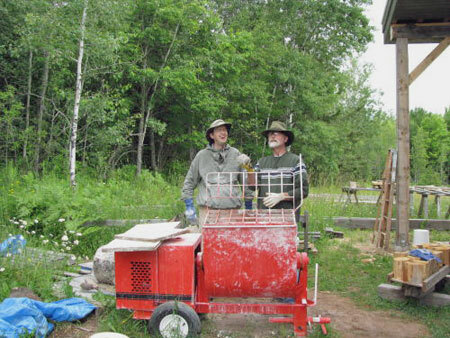 Wayne (who is also a talented sculptor, painter and illustrator) is very involved in the cordwood ‘scene’ here in the Copper Country; when we signed up for the CoCoCo in late 2004, he called us out of the blue to invite us over to see his house since we were interested in the subject. Wotta guy! Lime putty mortar requires advance preparation, since you mix up lime putty (lime and water), let it sit for awhile (current conventional wisdom is at least three days, but I’ve found a minimum of five days to be much more workable) then mix the putty with sand to produce the mortar. The putty I had prepared for the Flatau’s visit was experimental for me – I had seen that some people were mixing a bit of dish soap into the putty to help it retain moisture better, thus reducing cracking when the wall cures. I tried it with this batch of putty, but misread the ratios and added about ten times the recommended amount of soap. Whoops! 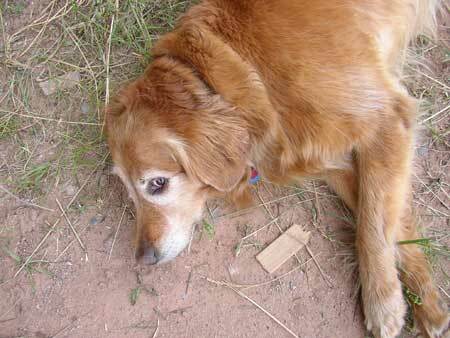 The first batch we mixed with the overly soapy stuff had a really weird texture, much too soft and pillowy. It laid up OK, but wasn’t as easy to work with as the non-soap mix. Fortunately, I also had some of the non-soap putty as well, so we were able to blend the two to get a decent-feeling mixture. 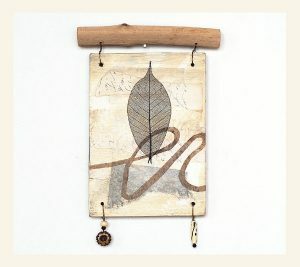 Soon, the Flataus were cordwooding like a runaway train. A train that lays up walls. And shows you helpful tips. And jokes and puns with you. Y’know, that kind of runaway train. Above, Target: Utility Wall. Below, Target Engaged. Saturday afternoon, we got a visit from Wayne Higgins, his first visit here. We were pretty excited to have him over, since it’s quite a jaunt from Stonewood to Nerdwood. He invited us along on a visit to George and Paulette Beveridge’s cordwood house, which we had visited a few years ago (when George cut the birch logs that now hold up our second floor). They’ve made quite a bit of progress; their house is amazing and unique – truly a work of art. Richard took some great pictures and posted them here.